Yellow also shines at night. 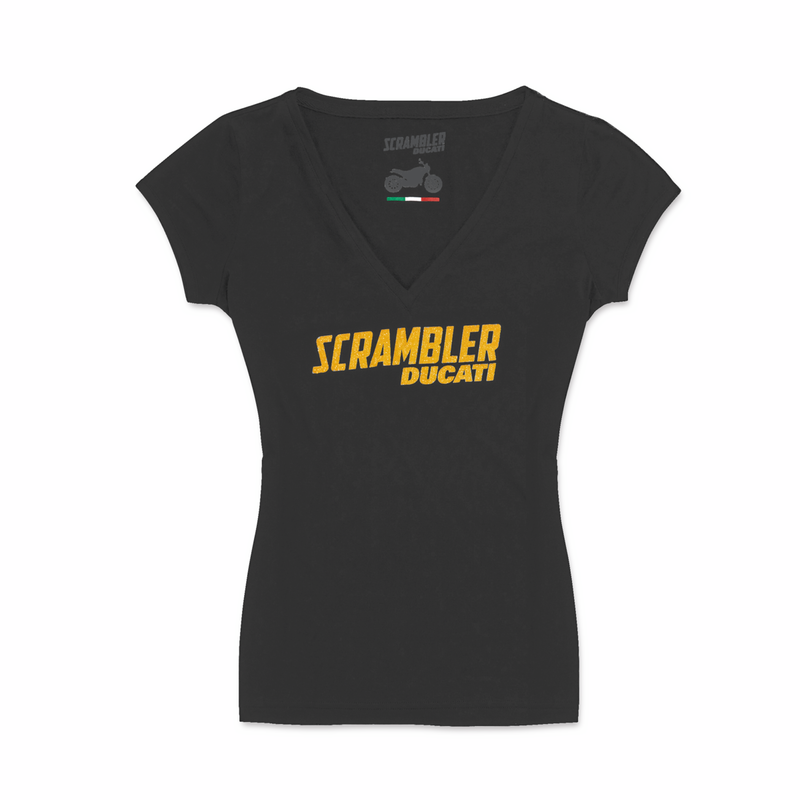 100% viscose, this black t-shirt boasts a glitter version of the iconic Scrambler logo. Simple but with great appeal.